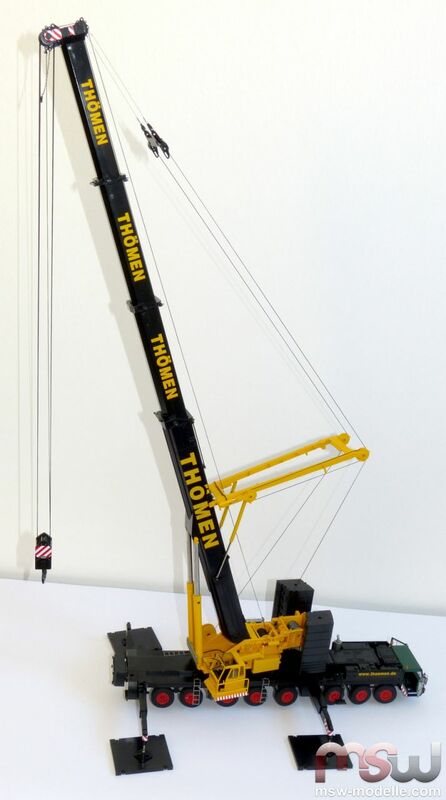 With the brand new LTM 1400 crane YCC presents another legendary crane from Liebherr; the original crane was very popular in the 80's and 90's among many crane rental companies as Sarens, Breuer, Grohmann, Buller or AKV Bochum. 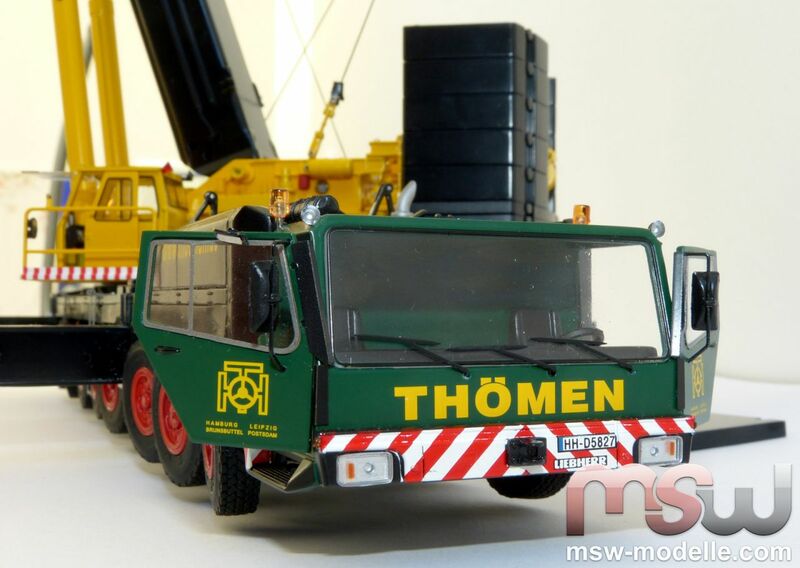 The very first versions of this crane are the Liebherr, Sarens and Thömen version. 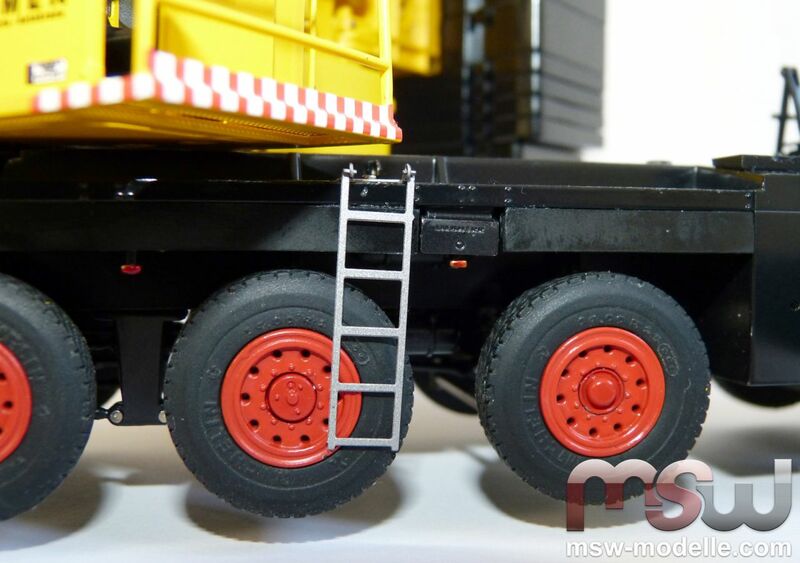 Exclusively from MSW Modelle the nice Colonia version will be available later in 2015. 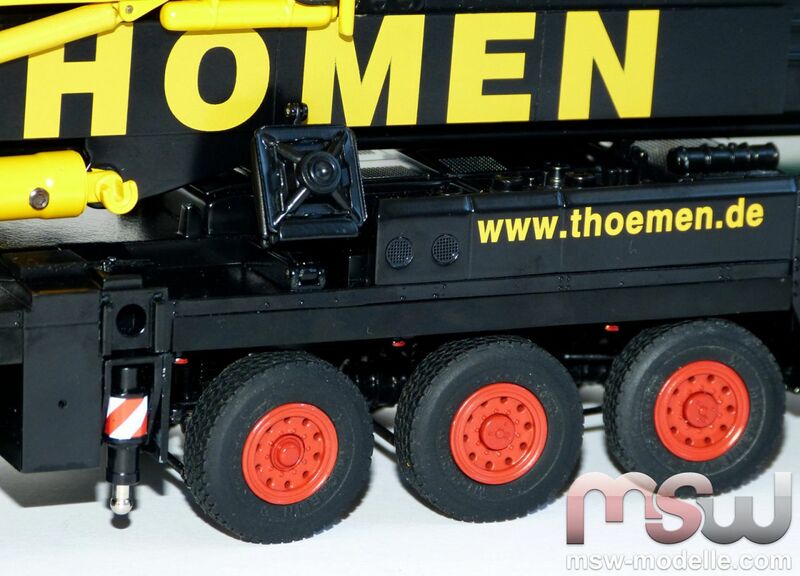 The LTM 1400 "Thömen" from YCC at work with guying system. 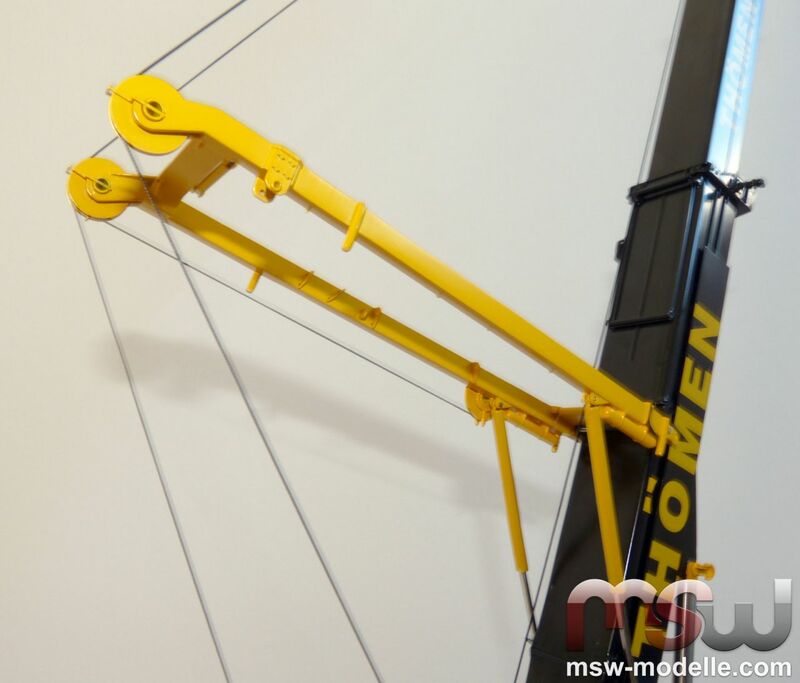 YCC created a superior model of this popular crane with a level of details, which is totally unique and fascinating. 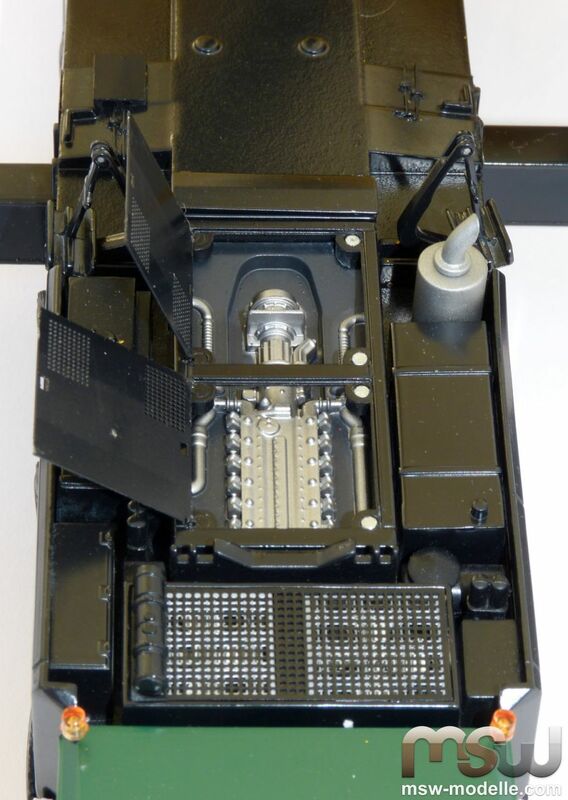 The highly detailed model from the bird's eye view. More details are really hard to put in such a perfect model. All dimensions were correctly transferred into 1:50; as carrier width or support area. 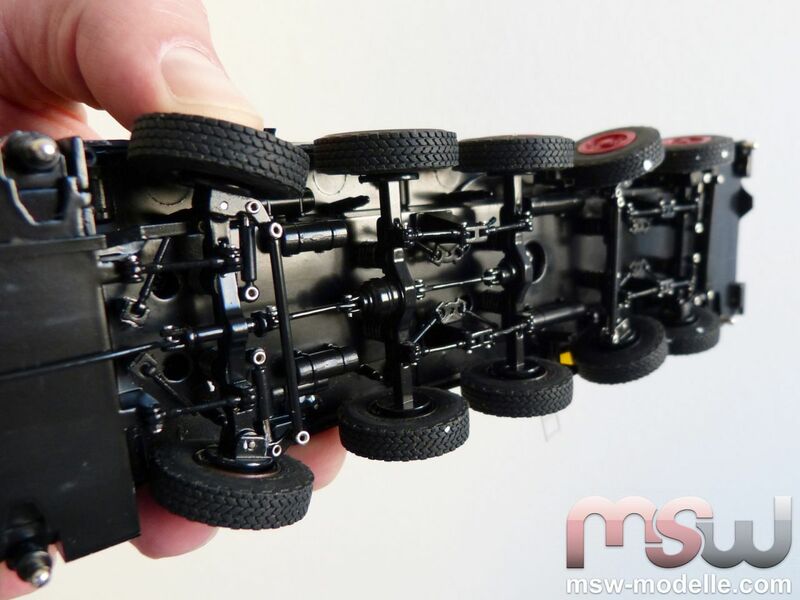 All axles are spring loaded and can steer; only the axles 5 and 6 are without steering – exactly as in reality. YCC even copied the steering cylinders on the axles! LTM 1400 while travelling. Even the tire manufacturer "Michelin" can be read on the tires. Needless to say that the rims are also realistic. ... or while travelling safely secured on the carrier. 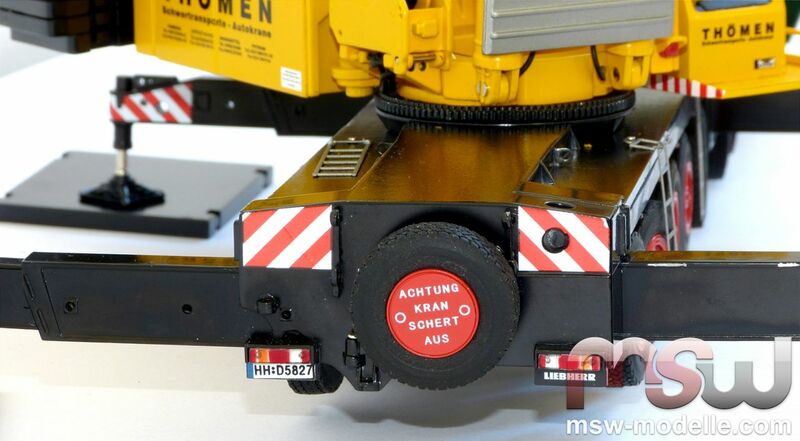 The crane is safely supported on the crane mats even without ground contact. And even small handles on the crane pads do not miss. The outriggers can also been extended only 50%; small pins secure them. 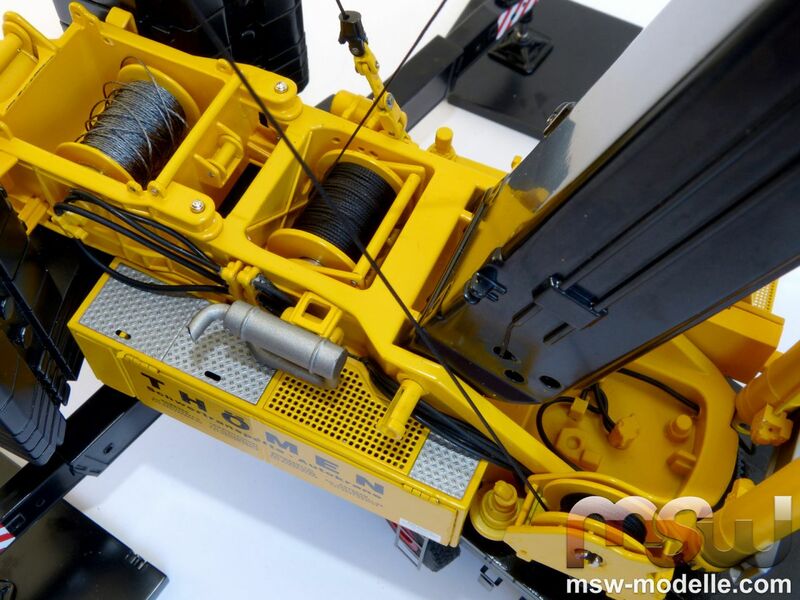 While travelling the crane pads are located within the lifting device. These can be lowered to the ground and ease assembly in reality. Behind the carrier cab the engine is located. A grid, made of photo-etched parts, covers the air cooler. And the engine can be seen underneath two covers, which can easily been opened. And also the superstructure has many detailed eye-catchers. 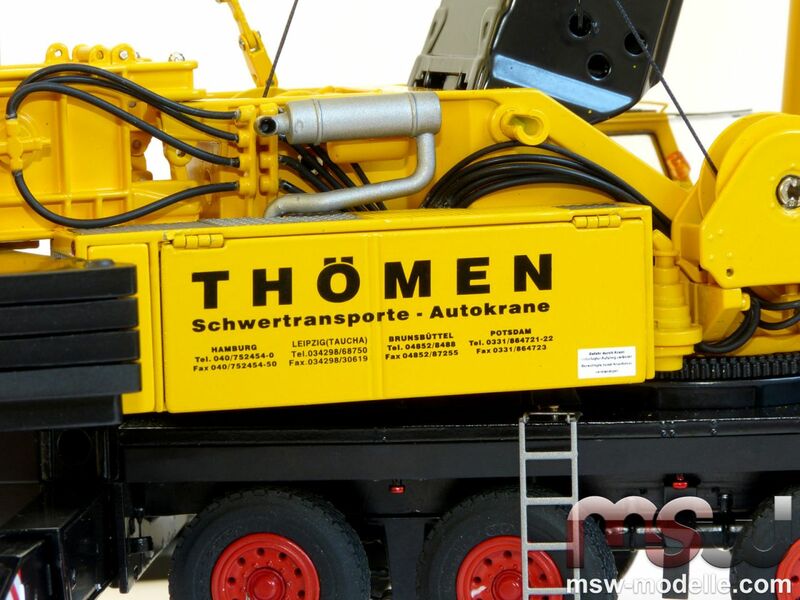 The engine cover is printed with warning signs and the Thömen company locations. Behind the right side cover the superstructure engine is located. A photo-etched grid also covers the air cooler. On the opposite site the cover of the control cabinet can be opened, enabling a view into the crane's control heart. 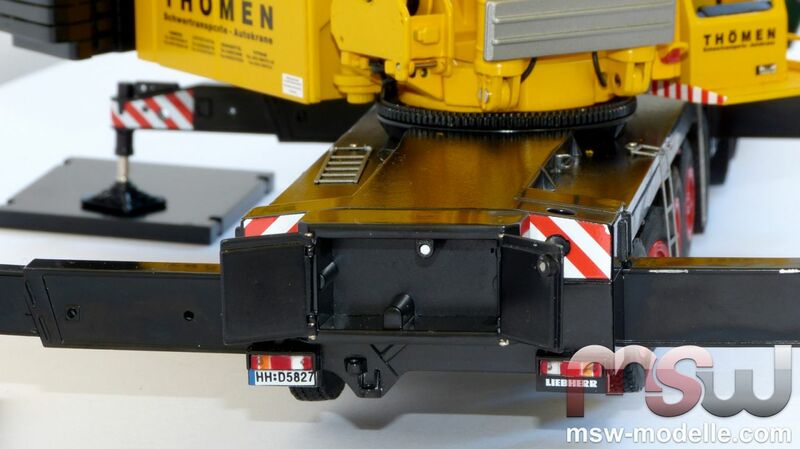 As an alternative to the spare tire a tool-box can easily been attached to the crane carrier's back. And even the number plate equals exactly the former plate of the original crane from Hamburg. 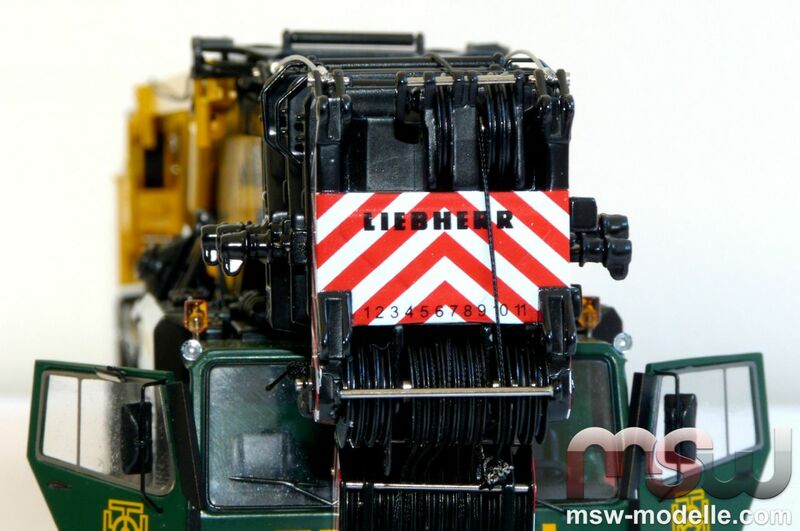 The undercarriage cab is the same as the newer version of the real crane, which Liebherr introduced with a facelift in the nineties. Also the cab doors really impressed. Once easily opened, a view into the cab shows the mid control column and even the speed control. 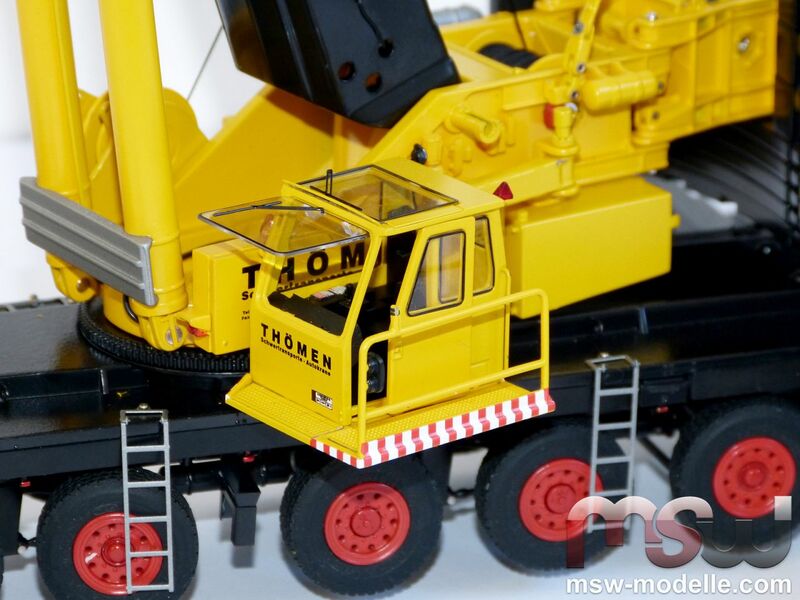 Also the superstructure cab convinces with superior details. Behind the sliding door the printed controls are visible, highly detailed. And even the front window can be displayed either opened or closed. Wipers are of course also not missing, as well as the label. 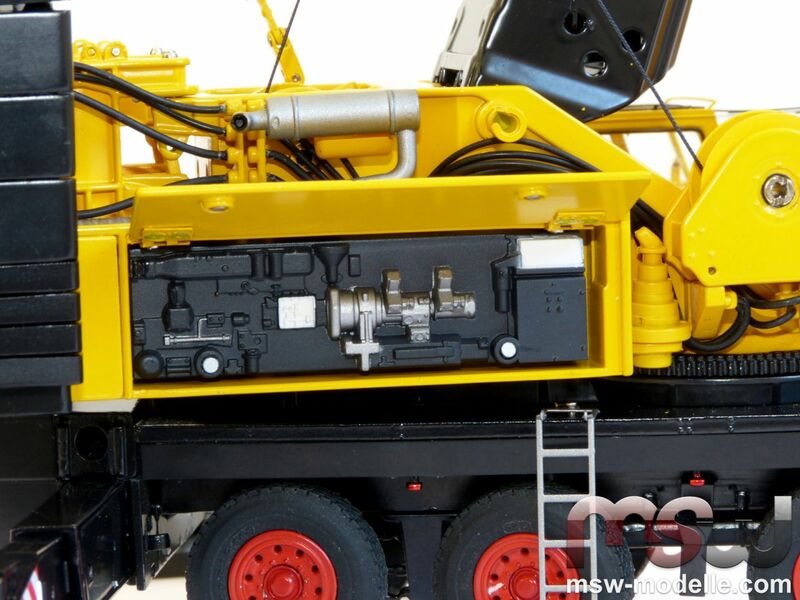 Small hoses are running to the winches including the guying winch as well as also to the slewing motors. And even the hoses for the boom cylinders are not missing. 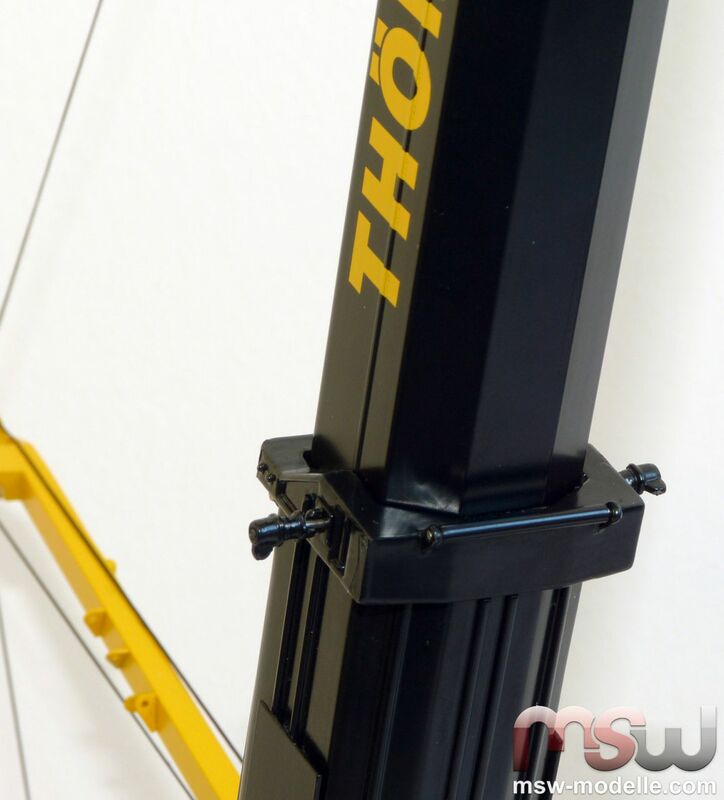 As in reality the maximum counterweight is 125 t. The two small counterweight secure frames need to be fixed with a small pin – really a great detail. 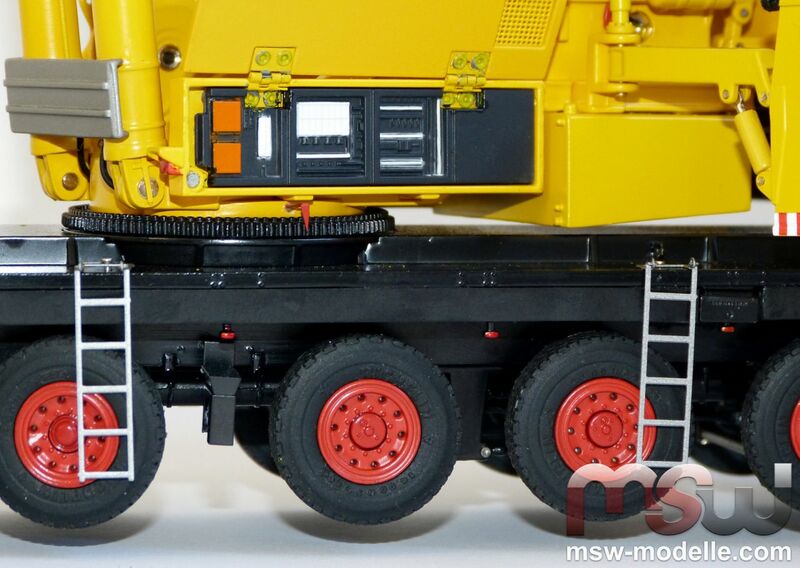 And even the small hydraulic connection within the counterweight frame exists. The typical guying system of the LTM14000 was working slightly different that time. 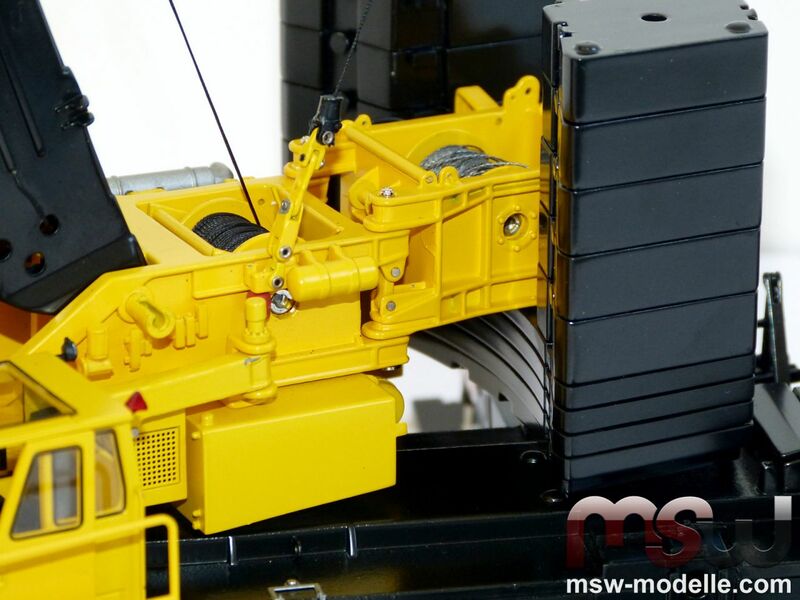 It was designed without back pendants and the winch was responsible for tensioning the system. 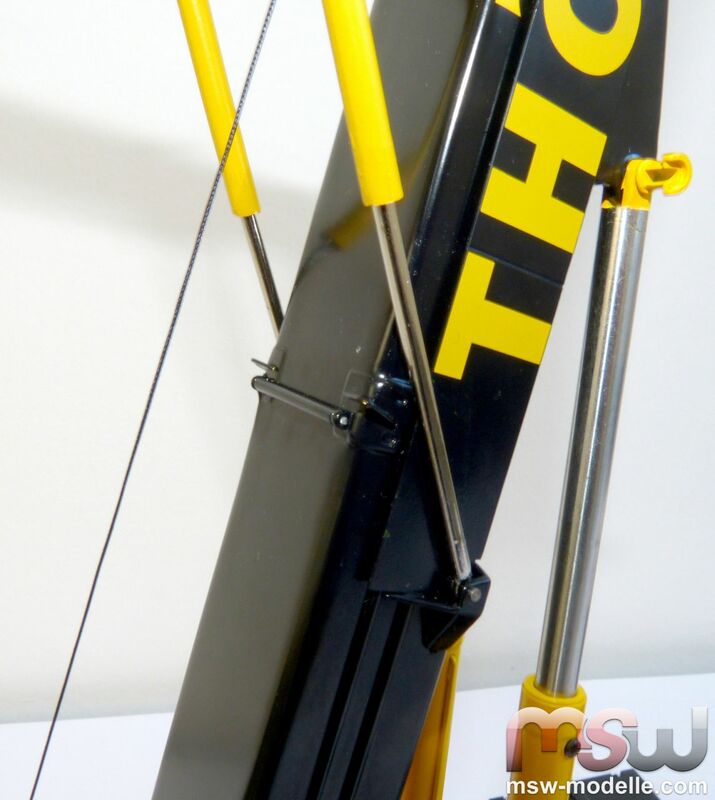 The boom features three sections for 1 m or 50 m in reality. YCC choose a unique and fantastic way to secure each section. Small spring loaded pins hold each section in the required position (50%, 92% or 100%). All sheaves are made of metal and easily move. Even the small line guiding sheaves on the boom are copied moveable. 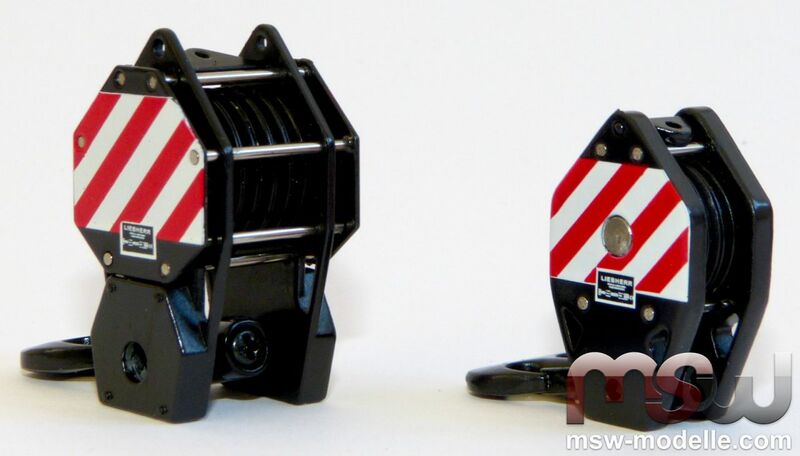 All winches are metal made and plastic has really been reduced down to an absolute minimum. A line clamp and the safety switch at the boom head are also not missing. And for the final perfection, numbers are printed on the boom head. 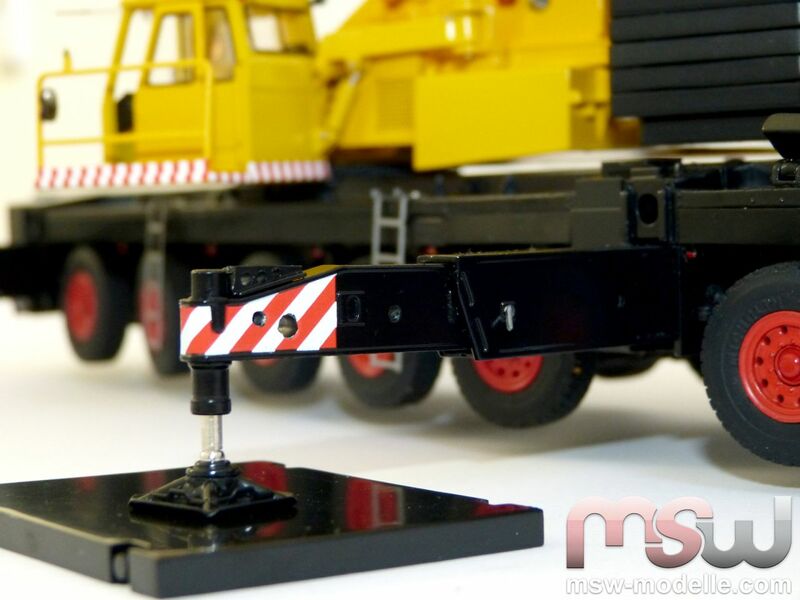 These were used on the real crane during reeving as guidance. 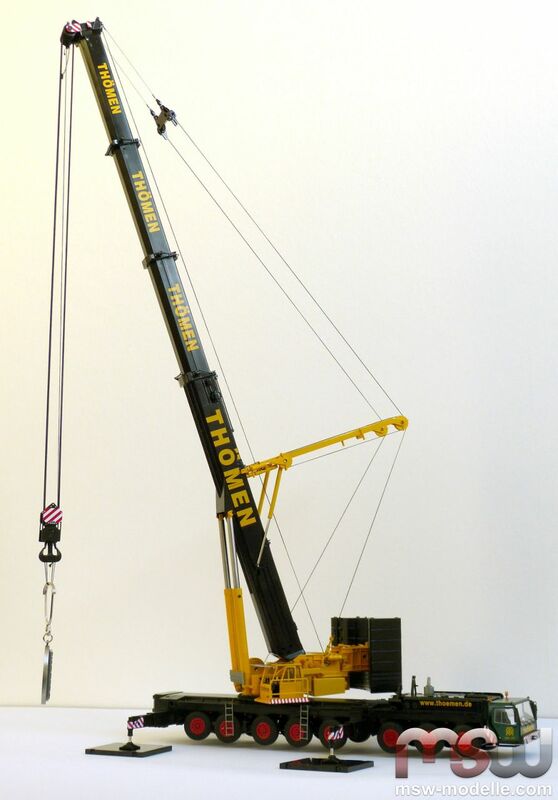 The crane is delivered with three different hooks, for 80 t capacity (3-sheaves), 150 t (7 sheaves) und 230 t (11 sheaves). Shown on the pictures is the big 230 t hook. On all hooks the small type plate is printed. 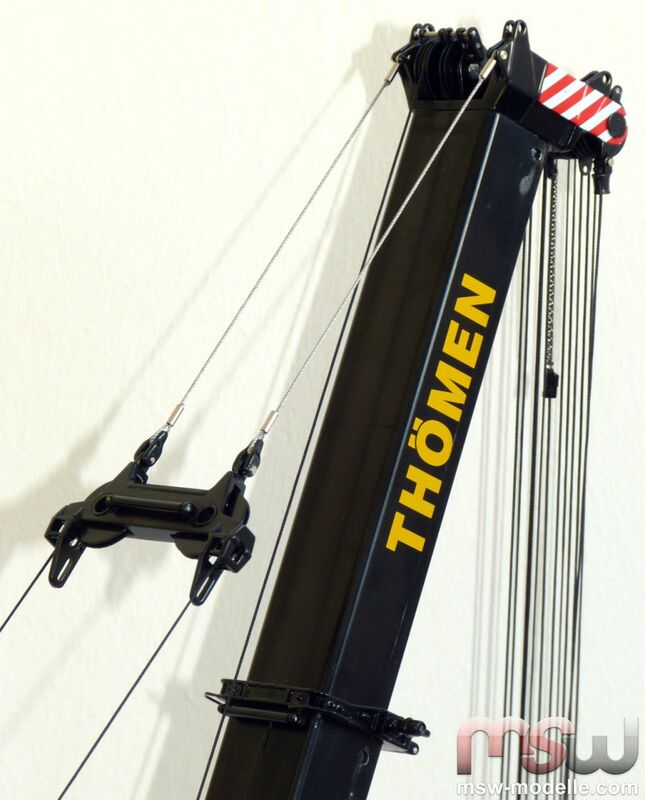 As in reality the Thömen name is printed on a separate plate, which is then attached to the boom. The line guiding sheave can also be seen on the picture. The carrier's back with spare tire. 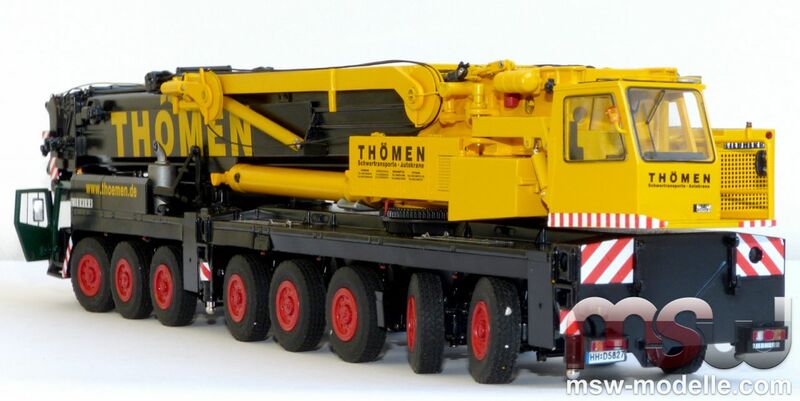 Finally to say, YCC's Liebherr LTM14000 is by far the most detailed crane model on the market. No details are missing and functionality is on an awesome level. It is a real highlight. * Carsten Bengs is author of the O&K chronical „Orenstein & Koppel – 125 Baumaschinen, Lokomotiven und Traktoren“. 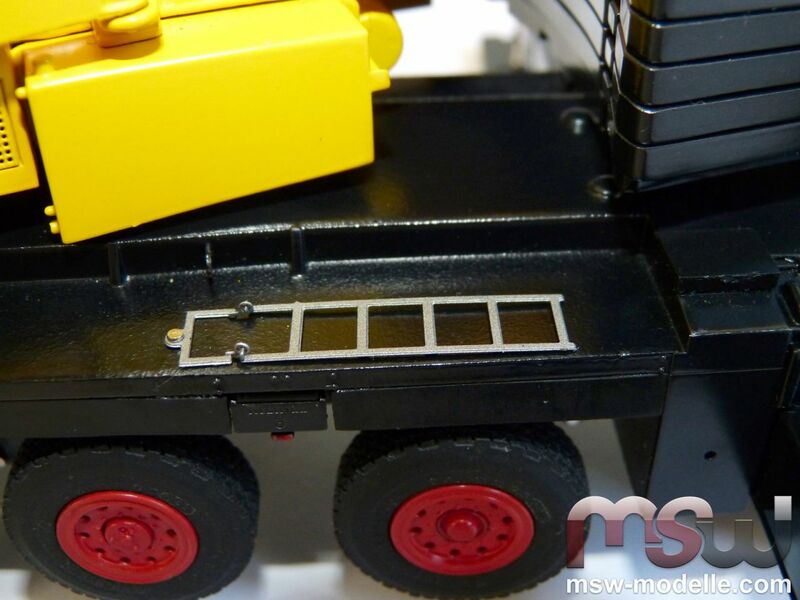 He is also writing as a free-lance editor stories about construction die-cast models for the magazines ToyTrucker & Contractor (USA) and TruckModell (D).